Surprise is a city in Maricopa County Arizona about 20 miles northwest of Phoenix. The city was founded in 1938. The population as of the 2000 census was approximately 30,848, however, rapid growth since 2000 has boosted the city’s population to approximately 90,717 as of 2009. 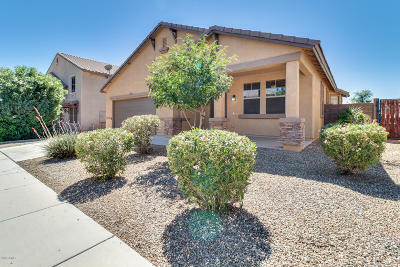 As such, it is the second fastest growing municipality in the greater Phoenix metropolitan area. Between 1990 and 2000, it was the sixth fastest growing place among all cities and towns in Arizona. During the 1900s and 2000s, tens of thousands of retirees moved to the city to live in Sun City Grand, an age restricted resort like community. 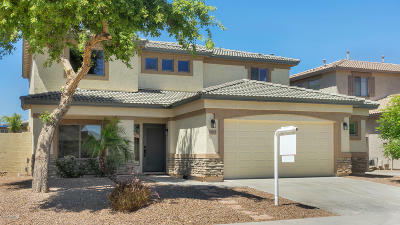 Sun City Grand has homes built by the property development firm Del Webb. Surprise is about five miles northwest of Del Webb’s original Sun city development and adjacent to Sun city West. Sun City Grand was a large contributor to the city’s growth population. Surprise, AZ is the spring training home of the Kansas City Royals and the Texas Rangers baseball teams. These Major League Baseball teams use the Surprise Stadium for their activities. As a part of the city’s Recreation Campus, surprise is also home to the Surprise Tennis and Raquet Complex. since its opening in August of 2007, the complex has received numerous awards. Most recently, it was named the 2008 Outstanding Facility of the year award by the USTA. Besides year round sunshine and new clean, safe neighborhoods, bustling Surprise offers excellent opportunities to share our great southwestern lifestyle. Check out the awesome White Tank Mountain Regional park, the Surprise Stadium, the Heard Museum West and the West Valley Art Museum. To add to the attraction of the Surprise community, the Surprise, AZ City Council unanimously approved an infrastructure reimbursement agreement with Westcor which will facilitate the construction of the largest regional mall in Arizona, Prasada. At full build out, the city expects to realize $60 million per year in sales taxes revenue. Prasada is expected to create more than 20,000 jobs for local residents. For more information about the City of Surprise, Arizona visit the links below.